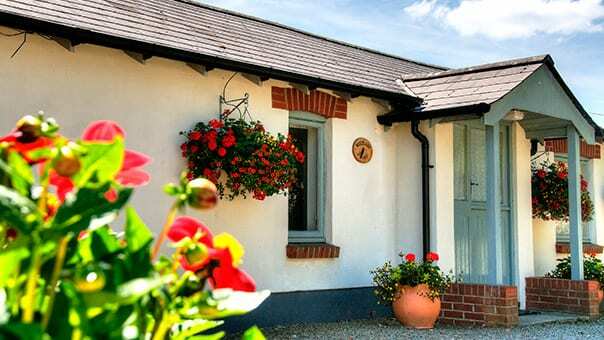 One of six cottages forming the sunny Stable Courtyard and approached through the original stable archway. 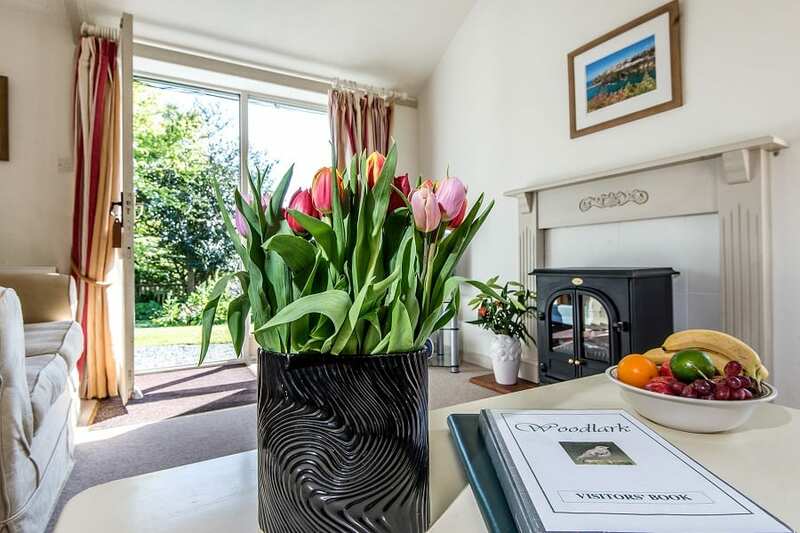 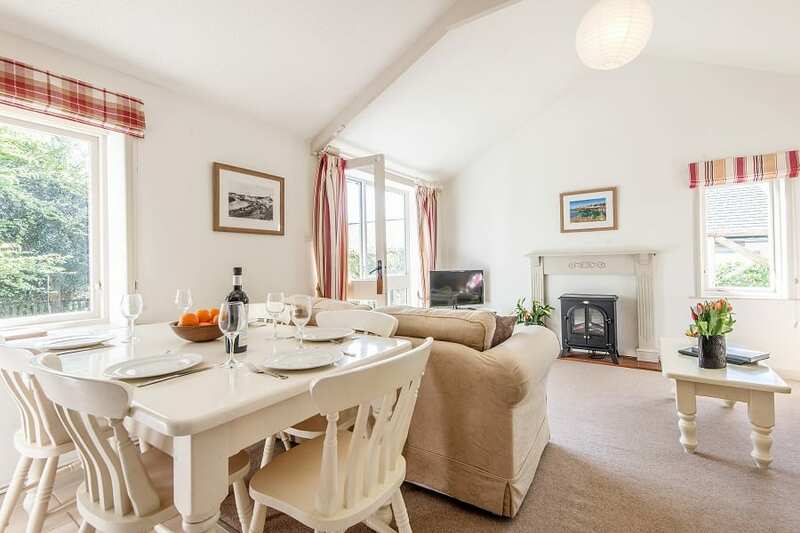 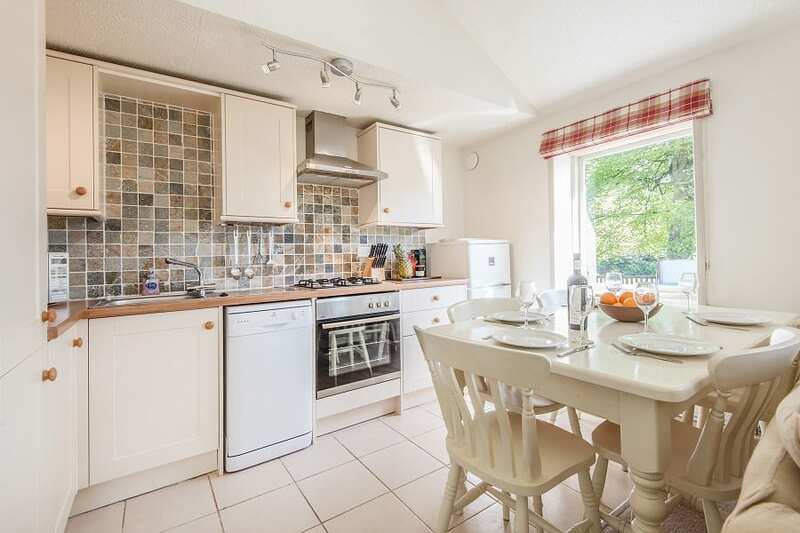 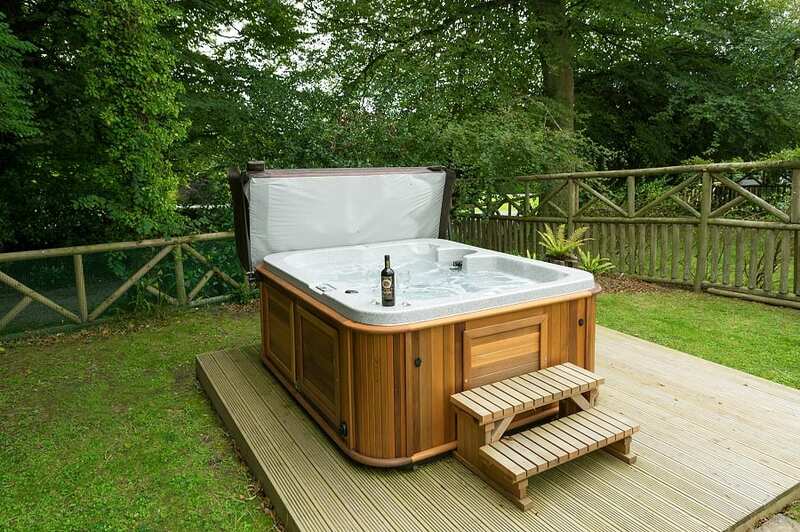 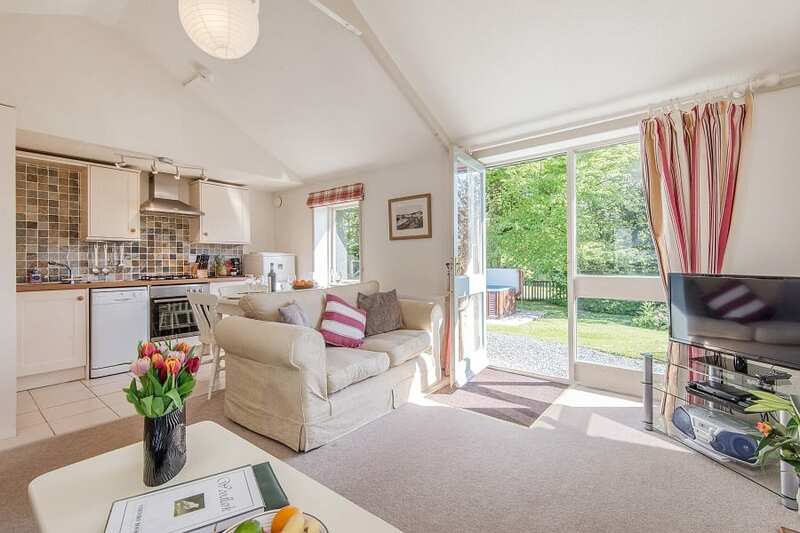 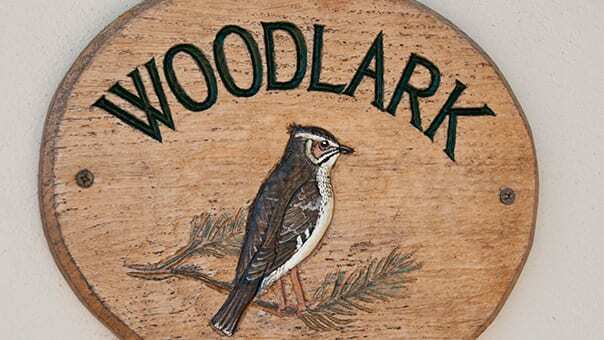 These cottages have been imaginatively converted from the old stables; Woodlark has the advantage of a front door opening onto the courtyard plus a French Window opening onto its own private garden at the rear with Swedish hot tub to enjoy all year round! 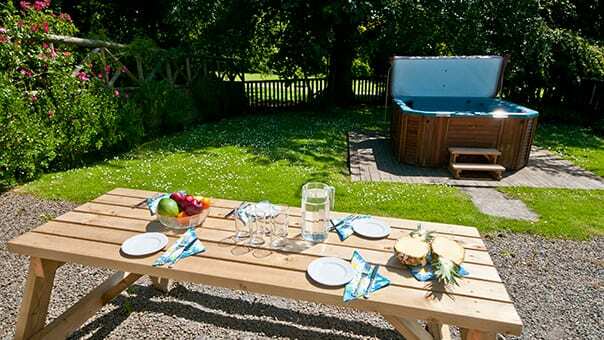 The enclosed garden is ideal for families with a dog or small children and has a table, seating and gas BBQ for your exclusive use. 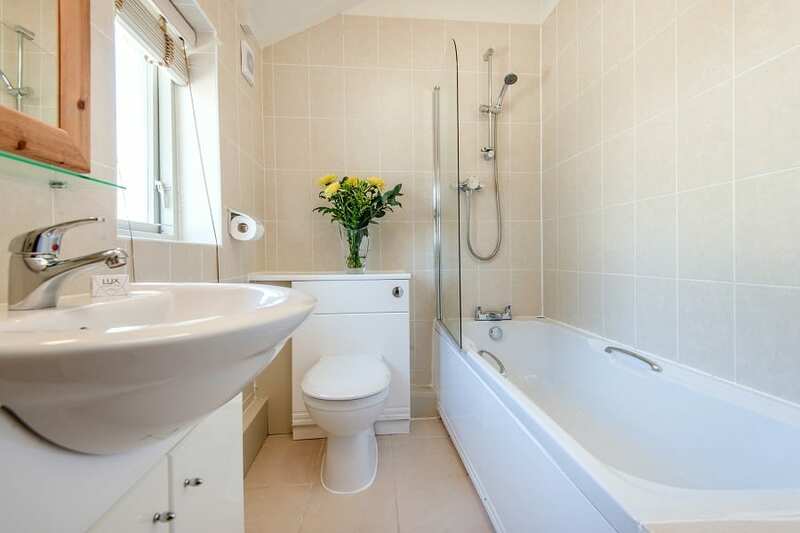 All on one level, it has an open plan lounge/dining/kitchen area and a fully tiled bathroom with bath and shower over. 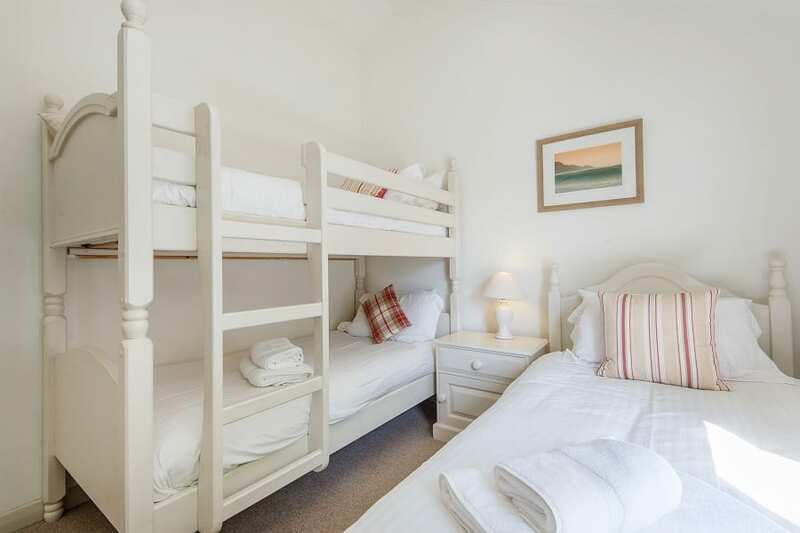 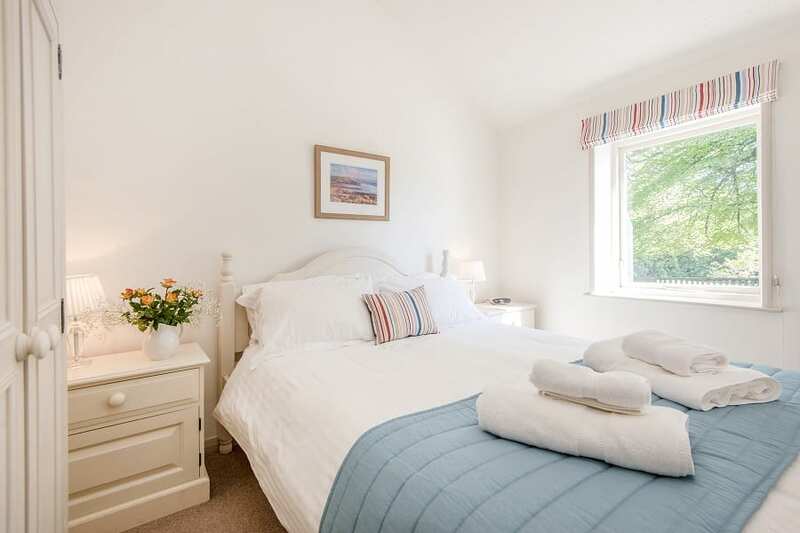 There are two bedrooms, one with a king size double and a second bedroom with a single bed and large bunks, suitable for adults or children. 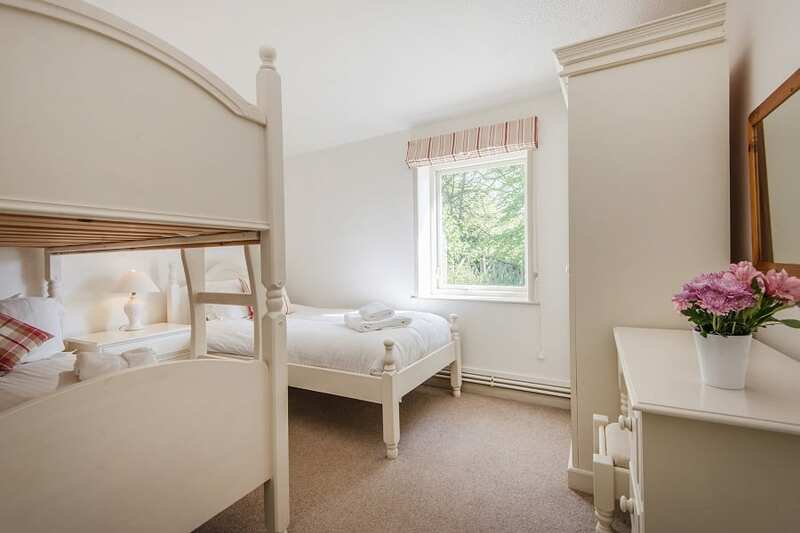 There is room for a cot in the twin bedded room.